How is TAC Sports different from regular sports camps? What is the student to instructor ratio at TAC Sports? What are the qualifications of your instructors? Do they have First Aid and Police Checks? Are you approved to provide programs through the different school boards in the GTA? What is your long-term development plan? The age group for my program is 4-12. Does this mean that my 4 year old will be in a group with 12 year old children? Do the students get adequate hydration during the programs? My child has an allergy and I am afraid to enroll him in any summer camps, what do I do? My child loves your program and is excited about their development plan, how do I know they will continue on the same path? Will the students do every sport offered at camp? What is the average number of students per week in the summer camp program? What are your Before and After Care hours and fees? 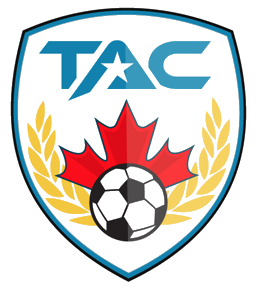 At TAC Sports, we are proud to offer excellent sport training and high-quality instruction. However, we also believe in the value of life skill development. Every child has the potential to achieve their goals. Whether it is shooting a perfect free throw or making new friends, our coaches are wholly dedicated to giving them the tools they need. We believe that leadership, teamwork, and confidence are just as important as technical skills, and want to help every athlete realize this potential. We have the best student-to-instructor ratio in Toronto. We have a 5-to-1 student instructor ratio, meaning that for every 5 students there is at least 1 instructor. We do this to ensure that every single child gets the attention they deserve, and that the quality of the lessons remains at a very high level. We want to be considered the most personable camp possible and make sure we know the name and development of each of our students. All of our instructors are certified through the National Coaching Certification Program of Canada or something equivalent. All of our instructors have first aid training and are required to have a police check before joining the TAC Sports team. First aid training get redone on a yearly basis to ensure top safety for all of our students. We are school board approved from the Toronto District School Board, the York Regional District School Board, and approved for individual Private and Catholic Schools. Most approval is up to the discretion of the principal at each school. Our long-term development plan is devised based on the Long-Term Athlete Plan (LTAD) from Canadian Sports for Life and the National Coaching Certification Program of Canada. This ensures that every child is at an appropriate level for their age and their development. We also use it to track the development and enhance the speed of their development as well. TAC Sports uses a 5 star development system. On the first morning of camp, students undergo a thorough investigation of their existing skill set. Students are then put into groups based on their ability, age and stature. This ensures that every student has the opportunity to collaborate with peers of a similar ability. We believe that hydration is extremely important and have at least 3 water breaks per hour. Additionally, any student may ask to have a drink at any point in the lesson. For our summer camps, we have water games to ensure that students stay cool in warm weather and don’t overheat. We collect and record any allergies/medical conditions students have upon registration. A medical list is created prior to the start of each program to ensure coaches are fully aware and prepared to deal with your child’s medical concern. All of our coaches are first aid trained and fully capable of dealing with most medical concerns. We make sure that returning children pick up exactly where they left off. We have a database of our students complete with their feedback and progress reports. Previously completed reports are regularly referred to by our coordinators and coaches to ensure that students are placed in levels appropriate for their development. They also help to reveal skills that represent strengths and weaknesses for each respective student. We encourage our students to register for one sport per half day. Therefore, half day registrants can pick one sport and full-day registrants can pick two sports, one in the morning and one in the afternoon. By limiting the sport choices, development is maximized throughout the week. For children between 4 and 6 years old, we run a multi sport “physical literacy” camp. Campers will participate in multiple sports, arts and crafts and other activities throughout the week at a slower pace than the older kids. This will ensure that they do not burn out by mid week and get to enjoy a little bit of everything. The number of students fluctuates based on the week and location selected. Attendance ranges from 25 students to 100 students at our largest facilities. Before and After Care is the same at each location. Before Care begins at 8am for $50 + HST for the week; After Care ends at 5:30pm for $55 + HST for the week; alternatively you may opt for a COMBO for $90 + HST for the week.